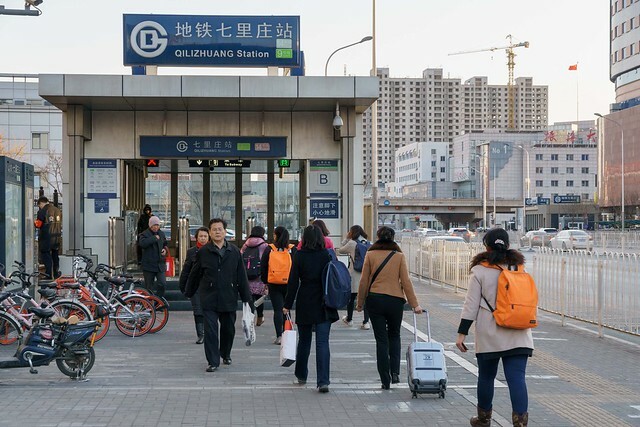 Qilizhuang is a station on Line 9 and Line 14 of the Beijing Subway. For more details view the ExploreBeijing interactive Subway map centered on this station. Pay extra attention to signage at this station. Sometimes very confusing. SSZ apartment at Exit E. Beware that exits are confusing. Watch carefully for appropriate exit signs.